What has been the best console of 2014? 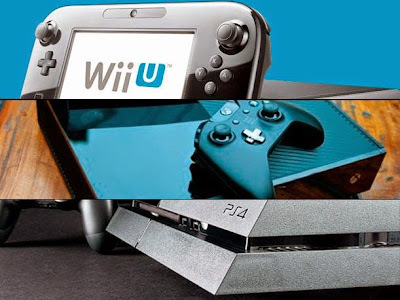 Nintendo, Sony and Microsoft fought side by side to present the best next-generation console. These are the consoles that throughout 2014 had a great performance in the gaming industry. PlayStation 4- Sony's console has had a dream year leading annual level sales and closing several exclusivity agreements for 2015. Xbox One- After a slow start, the next-generation Microsoft console has been gaining ground at the point of promotions and bundles. Wii U - With more than two years on the market, Nintendo has had a good year, supported largely by the amazing exclusive releases for it to grow by 90% compared to 2013. PlayStation 3 - The Sony’s old generation console, despite having presented interesting titles, is seeing how developers are leaving thinking about to focus the new generation. Xbox 360- Like its competitor of the older generation, while this year presented good titles, it seems that every time we see less premieres for it.